Renting in Italy is one of best ways to Live Like an Italian. Most rentals are weekly from Saturday to Saturday, but you can also have an amazing experience to live like an Italian in major cities such as Rome, Florence, and Venice for a minimum of 3 - 5 days. Renting an apartment or a villa in Tuscany, Umbria, Campania or the Italian Lakes opens up new possibilities allowing you to immerse yourself into Italian culture and countryside. When you unpack your bags and base yourself in a city like Rome, small village like San Gimignano, or country location in Tuscany or Umbria, you will see Italy through a totally different lens. You have the opportunity to experience the Italian rhythm of life. 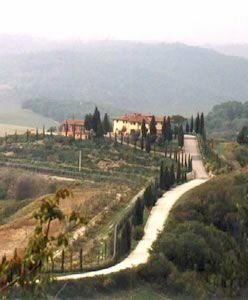 Designing Italy specializes in selecting the perfect property for living out your Italian Adventure by working closely with our property owners and managers. Whether touring wineries, cooking at the elbow of an Italian chef, driving through hilltowns or visiting a local festival or market, Ginger helps clients feel comfortable immersing themselves in the culture and the country. Designing Italy clients have confidence that they have chosen the right region, the right pacing and just the right experiences to fulfill their dreams of Italian life…and that every little detail has been designed and refined by Ginger herself. If you dream to Live Like an Italian, learn more about Italy For Rent. Get stated today by filling our our Consultation Service Form. Who are the best candidates for Renting in Italy? The independent traveler who embraces the idea of a "home away from home" or self catered concept. Friends and family wanting to unpack their bags and have a base from which to explore the city or countryside. Travelers who enjoy having local experiences whether it be shopping at local markets or having a local cook prepare a meal or partake in a cooking lesson. Travelers who enjoy day trips to visit small hilltowns and partake in the local festivals, and learn about the culture and countryside. Visit a selection of our Featured Private Villa & Apartment Rentals. "We thoroughly enjoyed Italia as you can well imagine and we're very appreciative for all your efforts and suggetions on our behalf, especially the farmhouse, which was fabulous." Jim K.
"Apartment living in Italy is the way go. In both Rome and Amalfi, we became a part of the neighborhood and really got to experience the rhythm of local life. There's something transporting about smelling the neighbor's dinner cooking or hearing the guy next door singing after a couple glasses of wine in the evening. You don't get that close to everyday Italian life in a hotel." Carl J. MN.